No-one can miss the ongoing saga that is the UK’s exit from the European Union (EU). The uncertainties it has created for patients, clinicians, the NHS and the pharmaceutical industry don’t start from the date the UK leaves (we can’t even be certain when that will be, it seems). The shadow of Brexit arguably started from the day after the referendum. But just what does it mean for the speed of access to new medicines? One way of looking at this is to explore trends in submissions to the UK’s best-known Health Technology Assessment (HTA) agencies. When it comes to access to medicines for patients in the UK, Brexit has raised a host of issues. They include the potential disruption to the supply chain for medicines already approved and prescribed in the UK. Then there is the still unresolved issue of future regulatory approval of new medicines. Many of these issues are outside of the industry’s direct control, even if they have been busy trying to influence just what will happen. Under the industry’s control is just whether the UK is on the list of countries that companies want to launch first, or not. That of course is influenced by the policies and laws adopted across the globe; that’s always been dynamic, and Brexit is arguably an amplification of that changing landscape. Whether the UK is a priority country for companies to launch influences – among other things – just how quickly patients can get access to the latest medicines. It’s been recognised that the UK could become a less attractive market to launch new medicines in light of Brexit. Some have even gone so far as to suggest that there may be no access whatsoever; companies could just not launch in the UK at all. The speed of access to new medicines is not straightforward to measure; it depends a lot on what medicines you are looking at, and in the context of a global industry that will want to maximise revenue and consider launch sequence accordingly, what countries you are comparing. That said, the UK has traditionally been seen as an early launch country. There’s some data to back that up too; an international comparison published in May 2016 put the UK in the high and fast reimbursement category, with countries like New Zealand amongst the lowest and slowest. At the same time, published in 2017 an international comparison focusing on orphan medicines put the UK behind other countries in Europe. That means the picture isn’t clear cut; it depends upon the nature of the product. More recent data than the existing international comparisons is available if we instead look into the non-submissions to the UK’s Health Technology Agencies (HTA). HTA is often – but not always – required for meaningful access to new medicines, not only due to the funding that flows with a positive recommendation from the National Institute for Health and Care Excellence (NICE) but also because of the endorsement it conveys to the NHS and prescribing clinicians in England and Wales. 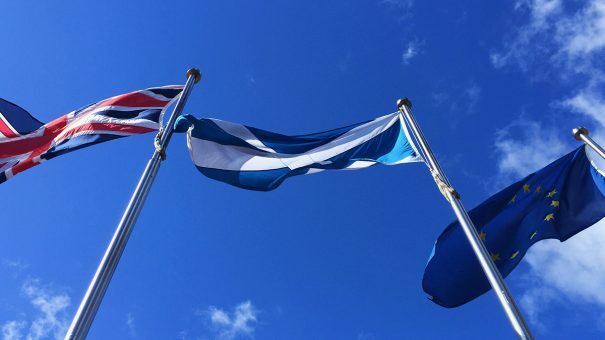 In Scotland, the Scottish Medicines Consortium (SMC) appraises new medicines, and whilst funding is not legally linked to their recommendations, nevertheless their recommendations are considered important to secure prescriptions and avoid funding barriers. Companies can simply decide not to submit if their drug is due to be NICE’d or SMC’d. At the SMC the resulting recommendation is essentially negative, albeit that there will be a qualifier on SMC website that the reason for this is because the company didn’t submit. At NICE, there is simply no recommendation made and a statement that the company didn’t submit. That companies choose not to submit to NICE or the SMC could be taken as a signal of the importance placed on achieving sales in the UK market, although it could also be driven by other things too. So what has been happening to non-submissions, and is there a ‘Brexit’ effect? The SMC is one of the fastest agencies to give their view on a new medicine, aiming to provide a recommendation within three months of marketing authorisation. There can therefore be some additional value to getting an SMC ‘yes’; companies can tell other countries soon after approval that they got a yes. That may have some informal value, but in Romania there is a link to the SMC recommendation, and it can formally help to secure reimbursement (there are points too that help secure reimbursement if there are positive recommendations from other HTA agencies). When it comes to the track record of companies submitting, or not, there is a clear upward trend in annual non-submissions to the SMC that was in place even before the UK voted to leave the EU on the 23 June 2016 (Figure 1). That said, the peak of non-submissions occurred in 2018, just as companies would have arguably even less clear on just what Brexit will mean. 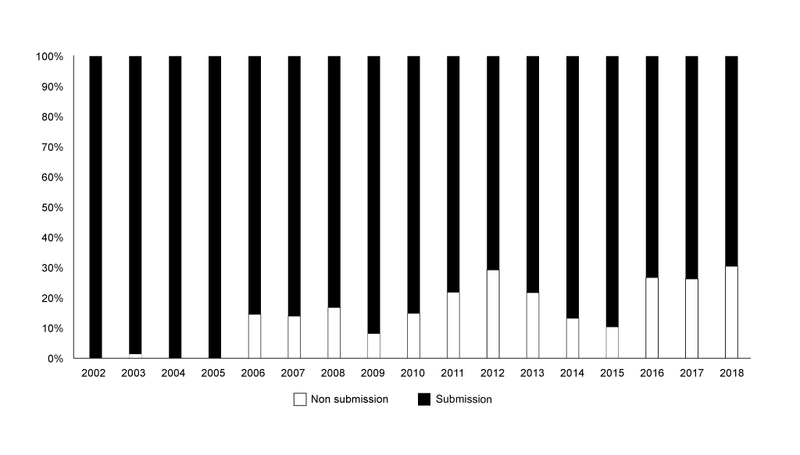 Figure 1: Annual trend in non-submissions to the SMC, 2002 to 2018 Source: Analysis of data abstracted from the SMC website. Data was abstracted on a calendar year basis, new data abstraction would be required to formally compare non-submissions before the 23 June 2016 and after the 23 June 2016. SMC’s workload ebbs and flows because it’s a function of approval decisions from regulators; even taking a look at the share of non-submissions shows the same worrying trend for more non-submissions (figure 2). 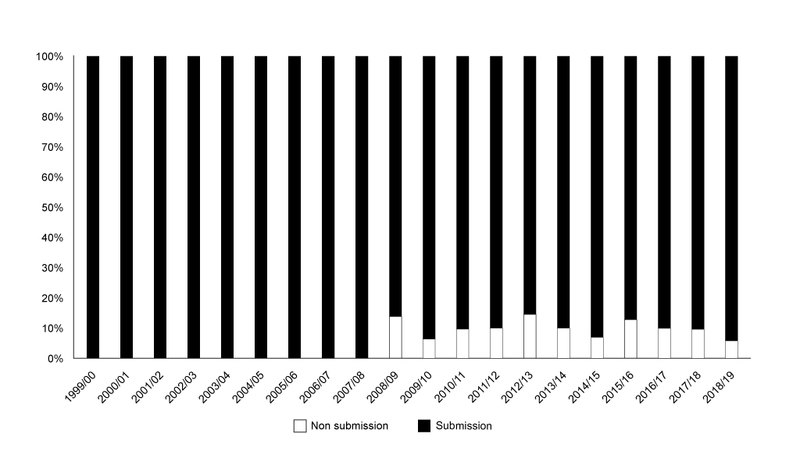 The trend of non-submissions to NICE is less clear cut than that in Scotland; it seems that it was rising, but in 2018/19 non-submissions dropped (figure 3). 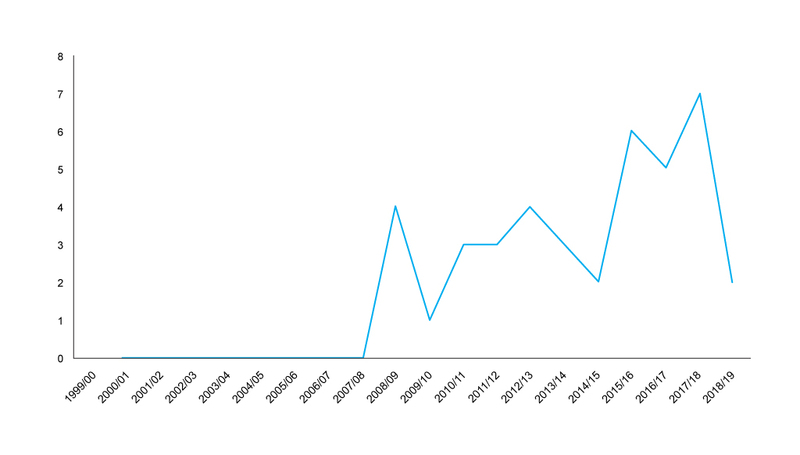 Figure 3: Financial year trend in non-submissions to NICE, 1999/01 to 2018/19 Source: Analysis of NICE data, with primary data abstraction to bring the NICE excel spreadsheet up to the end of December 2018. Data is included by NICE on a financial year basis, new data abstraction would be required to formally compare non-submissions before the 23 June 2016 and after the 23 June 2016. NICE hasn’t historically looked at everything, and that explains to a degree the far lower number of non-submissions than for SMC in absolute terms. Even accounting for the smaller number of appraisals from NICE shows a lower proportion of non-submissions than that for the SMC (figure 4). 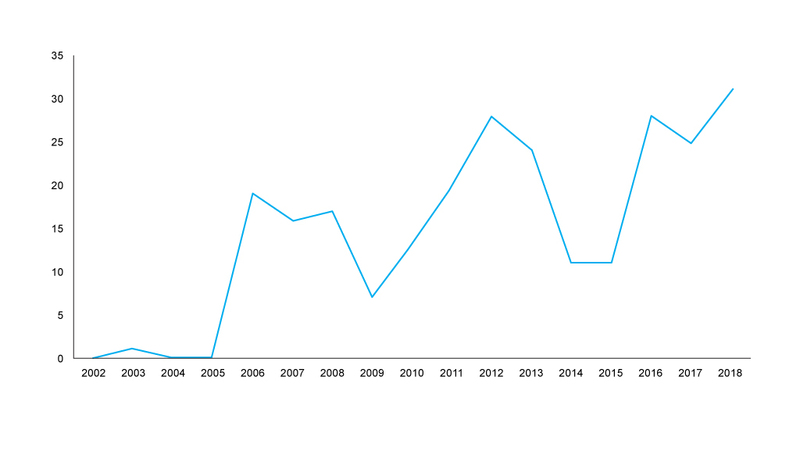 Figure 4: Annual trend in non-submissions to NICE as share of all appraisals, 1999/01 to 2018/19. Source: Analysis of NICE data, with primary data abstraction to bring the NICE excel spreadsheet up to the end of December 2018. Data is included by NICE on a financial year basis, new data abstraction would be required to formally compare non-submissions before the 23 June 2016 and after the 23 June 2016. An earlier analysis by Parexel, covering up to March 2018, found that there was a statistically significant increase in non-submissions to the SMC after Brexit. Looking at non-submissions up to December 2018, the trend shows no sign of abating. It’s hard to know if there is a specific ‘Scottish’ effect given there isn’t a statistically significant trend for NICE. That said, NICE just takes a lot longer so any Brexit effect may be taking longer to be felt. Monitoring access to new medicines should be a key focus for both industry and government, even more so in light of Brexit. If access gets a lot worse, patients should demand action. 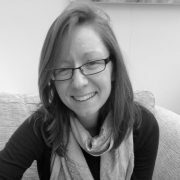 Leela Barham is an independent health economist and policy expert who has worked with all stakeholders across the health care system, both in the UK and internationally, working on the economics of the pharmaceutical industry including as an advisor to the Department of Health and Social Care on the 2019 voluntary scheme for branded medicines pricing and access.